You have a donation, membership application or renewal pending. Please contact us if you have any questions. Doctors for the Environment Australia has a team of dedicated public health and clinical experts working in a voluntary capacity. We educate governments, communities and industry about the importance to human health of a healthy environment and on the need to prevent pollution from fossil fuels and to urgently address climate change. This national programme is costly and we raise funding from our members and the public. As an independent, not-for-profit organisation, DEA is reliant on the generosity of all our supporters. We welcome one-off or regular contributions. Donations of $2.00 and more are tax deductible. Refunds are given only when payments are made in error. DEA Donation and Fundraising Policy and Guidelines. Do you work in Aboriginal Health? How Did You Find Out About DEA? Are there any activities you would like to get involved in? The payment details you enter here will replace any recurring donation you have previously authorised. If you are making recurring donations by credit card and your expiry date or any other card details have changed, please enter all of your new credit card details. Pay securely using your credit card - Mastercard or Visa. Make your payment directly into our bank account: BSB: 633000, Account Number: 152266722. Please use your name as the payment reference. Our policy can be freely viewed on request and via our website. DEA believes that the information provided to us by our members has been given with the utmost confidence. We take our obligations under the Privacy Act seriously and commit to following the principles outlined in the Act. DEA is a voluntary organisation of medical doctors and students in all states and territories of Australia. We work to address the diseases - local, national and global - caused by damage to the earth's environment. For example, climate change will bring to Australia an increased burden of heat stroke, injury from fire and storm, infectious diseases and social disruption and mental illness; whilst in the developing world it will bring famine and water shortage. We do not ask for information from members apart from that which is reasonably necessary to conduct our activities, and we do so with your consent. We may ask you for further information about your interests and professional memberships. This information is provided by you. We will not solicit or store information about you from external sources. We also collect information on our employees and contacts that are relevant to our activities. This information is provided by the individuals or is obtained from publicly available sources. Note that we are unable to process members or contacts anonymously or under a pseudonym as it is impractical for us to do so. How do we use the information that we have collected about you? We will only use the information collected about you for the primary purpose of DEA activities. We will contact you in relation to events, publications and issues of relevance to the activities of DEA. Your information will never be used for a secondary purpose without your expressed permission. We do not provide your details to any external bodies without your expressed consent and we will not provide your details directly to any third party for the purpose of direct marketing. We will never share your information with overseas bodies. How do we store and protect the information? We store your information electronically on a database. There are protections against unauthorised access and independent expert advice has been obtained in order to maximise security and minimise vulnerability to any threats. We do not store your financial information, and credit card payments are done via a third party. Access to your data is provided only to authorised DEA contacts for the primary purpose of DEA activities. Your information may not be accessed for any secondary purpose without your expressed consent. Access is provided to the DEA Management Committee, state representatives and employees. Student state representatives will be given access to the student data. Your contact details may be given to other DEA members only for DEA primary purpose related activities. Can you access the information that we hold about you? Yes, under Australian Privacy Law, this information is freely available to you. How can you amend your personal information? You can amend any of your details by logging in to the DEA website www.dea.org.au and selecting 'My Account' at the top of the page. For how long do you keep the information? Details are kept for as long as the membership is active. Lapsed members who have not renewed will be reclassified as an ex-member after 2 years and will be de-identified after 5 years. Your de-identified data will remain on our database. De-identified data contains age, state and date of membership and date of last payment only. All your data will be removed at your request. Non-membership contact information is kept indefinitely. We will attempt to clarify and resolve any issues you may have. 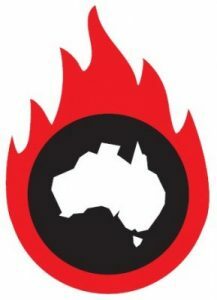 If you are not satisfied with our response you may contact the Office of the Australian Information Commissioner directly or lodge a complaint at http://www.oaic.gov.au/privacy/making-a-privacy-complaint.